ADCH Merganser's River of Dreams AX, AXJ, XF, GCH, SACH, RM, JCH, TM, SM, CGC. a Snooker Master title, and recently received a Super Q in Snooker. 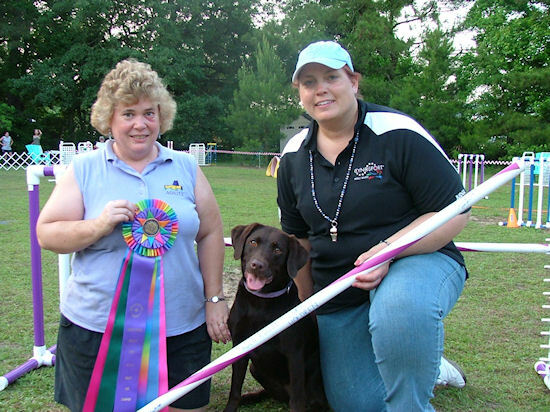 Rogue is owned by Lori Holdren PhD who resides in Florida. Rogue is out of Int CH Merganser's Abram Tank MH x Merganser's Billie Baroo.